The flavours are classically perfect, an orange infused crème brulee is encased in a decadent Valrhona dark chocolate mousse .Textures are very important and Eric uses a crunchy orange streusel, praline and a chocolate sponge to excite the palette. All of this is finished with a shiny chocolate glaze and decorated with crunchy pearls and the cake personal logo. 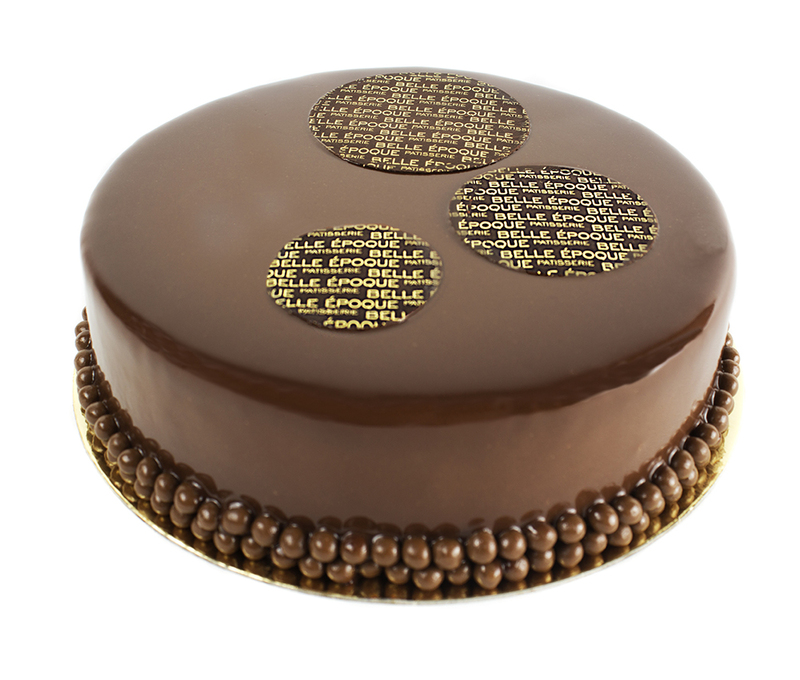 This is the Belle Epoque signature cake.